Virtual terminals have become more prevalent over the past decade because of the rise in security requirements and the increase of easy access to the internet. 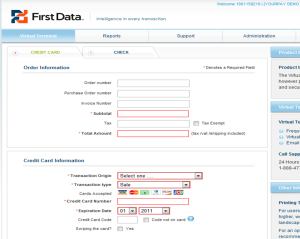 With the every changing restrictions of PCI DSS compliance it is becoming easier to utilize an online gateway that can be automatically updated as opposed to a piece of hardware like a credit card terminal that can become obsolete, out-dated and in some cases non-compliant in only a few years. There are many different internet payment gateway flavors and variations today, with almost every technology firm and large sales organization having their own version. For simplicity we will discuss a few of the most popular on this page. For more up to date information be sure to visit our blog. 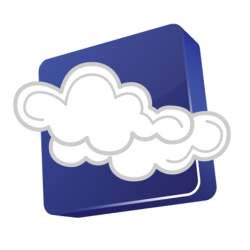 Although not the largest in use, the First Data Global Gateway ranks #1 among our list because of its robust features, easy access, and low cost. 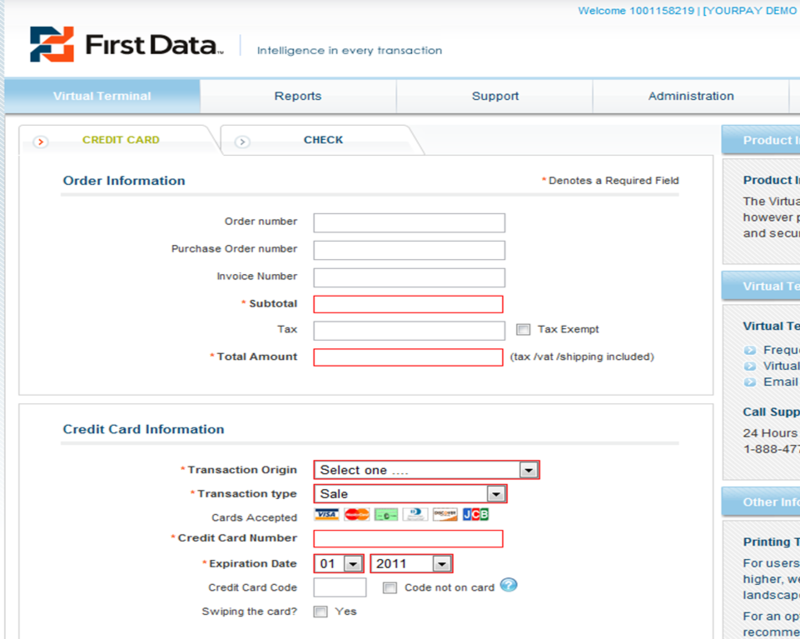 It also provides a very easy interface for plugging into an online shopping cart. The Global Gateway also provides a lower price point than most other gateways and depending on several factors (the reseller, merchant volume, etc) can be utilized for as little as $10 per month and no transaction fee. Commonly referred to as “Auth.net” it is by far the most popular internet gateway with 25% market share. 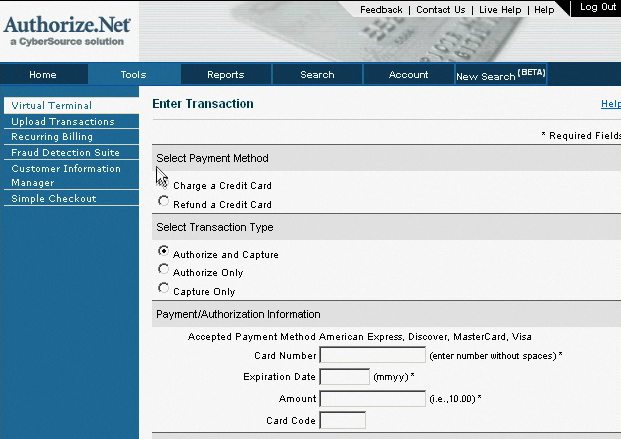 Auth.net has been a staple for ecommerce integration because it can interface with any merchant account (processing network) backend and virtually every shopping cart front end. That costs are also reasonable ranging from $15-$25 per month and 5-10 cents per transaction. 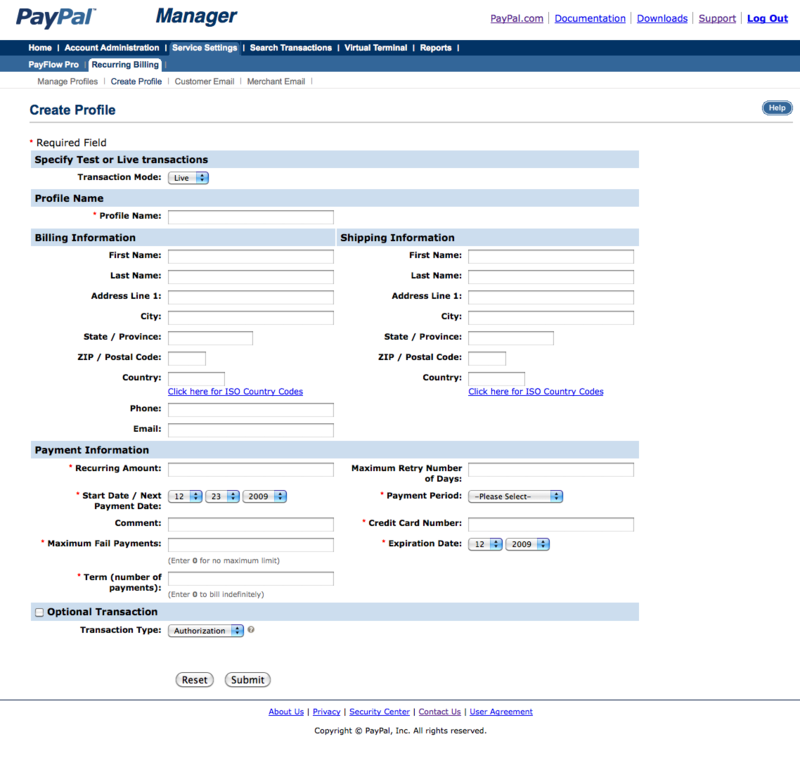 Contrary to popular belief PayPal has both personal accounts (virtual wallet) and business accounts (merchant accounts). 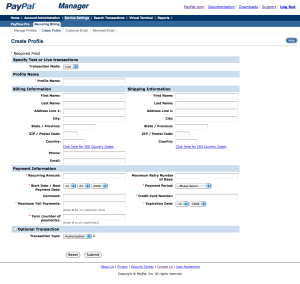 PayPal also has its own gateways PayFlow Link & Pro that can be used with any merchant account, even if it is not set up with PayPal direct. PayFlow is very similar to Auth.net however does not interface with as many shopping carts and also costs a little more putting it 3rd on the list. Rather Link or Pro there is a setup fee of $179 or $249, monthly fee of $20 or $60 and a 10 cent trans fee. 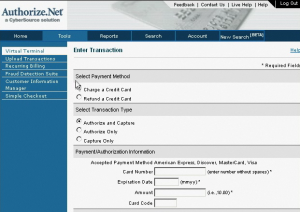 Although not truly an internet payment gateway, the QuickBooks payment interface does utilize the internet to process credit cards very similar to a virtual terminal. 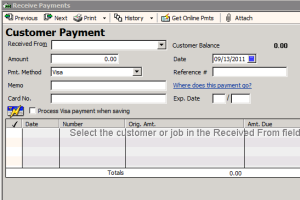 The benefit is the direct integration with invoices. 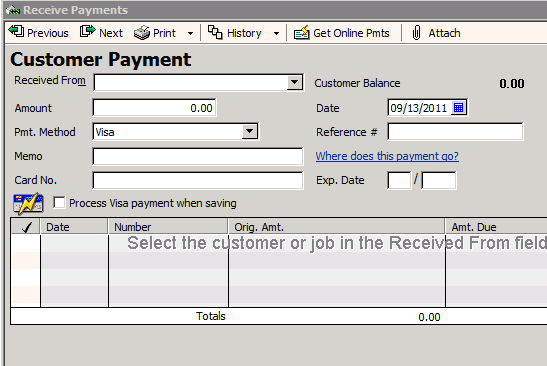 It is also 100% free if utilizing Intuit’s merchant services, however because of high fees many opt for a 3rd party plugin (with small fee) and separate merchant account. Total Merchant Network has expertise coupled with hands on integration of all gateways listed above and many more. Contact Total Merchant Network today for a free 30min preliminary needs analysis to help determine the right solution for your business. Call us at 866.382.2819 or Click Here.